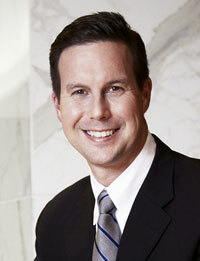 Doug is lead of the Business Practice Group at Sandberg Phoenix & von Gontard. Among his areas of practice are general business law, including entity formation, governance and agreements; business transactions such as mergers and acquisitions, buy-sell arrangements, joint ventures, leasing and licenses; general contract drafting and negotiations; commercial lending and complex real estate transactions. Doug works with a variety of business entities, including corporations, limited liability companies and partnerships, as well as sole proprietors, and offers them a wide range of legal services. His wealth of experience in business law has established Doug as a trusted advisor to whom his clients can turn for a myriad of matters. Doug limits his services to privately owned businesses rather than public companies and the unique challenges and opportunities facing such businesses.